Local, chemical free, and fresh produce! Fondy Farmers Market – 2200 W. Fond du Lac Ave.
Walnut Way’s campus demonstrates innovations in urban agriculture, where residents have transformed vacant lots into production gardens and orchards. We also utilize a hoop house, rainwater storage, composting, solar power, and apiaries. 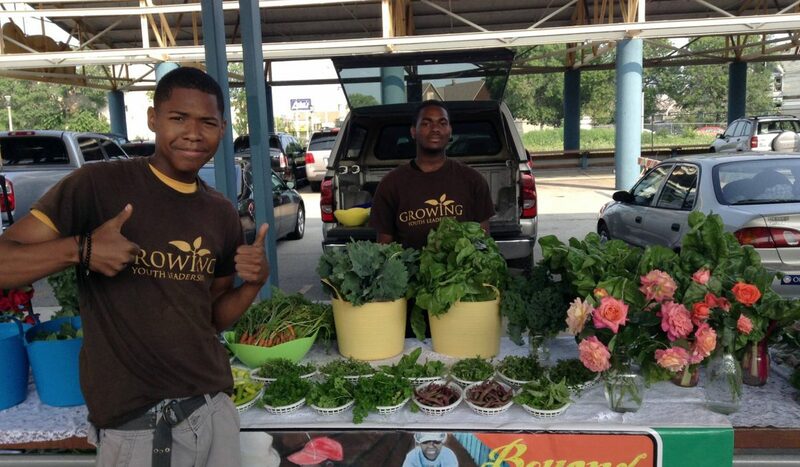 Demonstrating the ability to grow healthy neighborhood foods is essential to neighborhood goals of health and wellness. Additionally, maintaining a clean and beautiful neighborhood campus is a necessary part of our commitment to environmental stewardship. Food produced on the campus is shared with neighbors, sold at local markets, restaurants, and grocery stores, and transformed into value added products by our Growing Youth Leadership interns. The campus is a rich environment for learning for neighbors, employees, and visitors from all over the world. Walnut Way sells produce and canned goods during the growing season when available at nearby markets, typically May-October. Restaurants interested in purchasing Walnut Way produce can contact Jeremy Davis, Environmental Specialist: jeremy@walnutway.org.